The new chairman of the House Oversight and Government Reform Committee says he will do all he can to investigate President Donald Trump and his administration over the next two years. Cummings said that, as chairman of the committee, he has the authority to investigate anything he deems appropriate to examine. “We can look at anything,” Cummings said, concurring with “60 Minutes” correspondent Steve Kroft’s suggestion that the Department of the Interior and the Environmental Protection Agency, for example, are fair game for investigation. The Maryland lawmaker, who has sat on the oversight committee under four presidents, says he thinks Trump is making a profit from his business dealings, even though Trump reportedly resigned from “each and every office and position” he held, according to a January 2017 letter provided to CNN by the Trump Organization. Cummings said he thinks Trump is making “a lot of money,” and says the American people should know if that’s the case. CBS reported that Cummings has already made “64 requests for subpoenas on things like White House security clearances, hurricane relief efforts in Puerto Rico, and the Justice Department’s refusal to defend the Affordable Care Act,” which were subsequently stopped by the Republican chairman of the committee in the previous Congress. 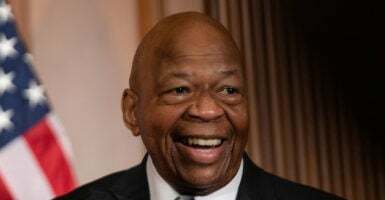 Cummings said Republicans have been working together to protect Trump, and that he plans to “look at anything” to get answers.